Reiki is a natural healing system; an ancient laying-on of hands that is used to balance energy flow in the body and the surrounding energy field. Reiki provides deep relaxation and offers cosmic energy – Chi, or Life-Force to promote the natural healing ability of the body. Jo receives the vibration of the Numbers into her energy field and transmits them to your physical body and surrounding aura. in the village of Wakefield. Click the Contact Us tab and arrange your session now! 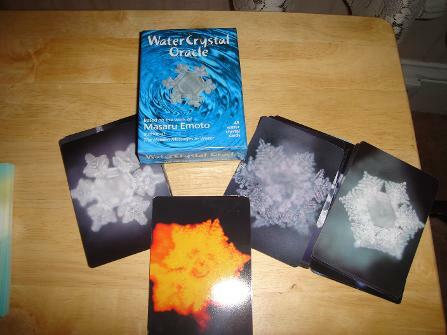 Saturday September 21st in Wakefield QC, at 10 a.m.
~~ discussion and learning about the Water Crystal Work of Dr. Masaru Emoto. Limited to Six participants. $60.00 fee includes lunch. 10 a.m. -- 3 p.m.